Whether it was a wet floor, a ripped carpet or a dimly lit staircase, slips, trips and falls can happen anywhere. However, accidents like these are common in department stores. 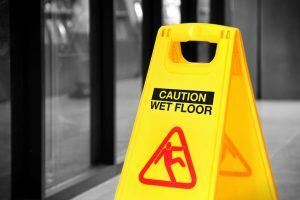 In most cases, store employees do a good job of warning their customers about any hazards that could lead to a slip, trip or fall. We’ve all seen the ‘slippery floor’ and ‘caution’ signs, but sometimes this simple warning is neglected, and it can put customers in real danger. If any of these scenarios caused you or a family member to get injured, call us! We’ll put our best slip and fall lawyers on your case, so you can be confident you’re going to get fair compensation. Our team of experienced attorneys can help investigate your accident and make sure you’ll get the best result possible from a claim. Whether you fell at Walmart, slipped on a wet floor at Target, or tripped on a carpet at another department store, contact us for a FREE consultation. We’ll put our best attorneys on your case, and the best part: we work on contingency fees. That means we only get paid if we get you a successful claim.